All Batman fans Listen! Bane is coming to town! Literally. Just to warn those who want go to theaters without knowing anything about the film you better not read this article due to its Spoiler content. If you're still are with me, then we'll be going through some juicy content about The Dark Knight Rises' prologue. The six or seven minute prologue that will be seen before Mission Impossible: Ghost Protocol will focus on Bane's inception, played by Tom Hardy, and his attempt at assassinating a Saddam Hussein-type dictator by hijacking a plane. Which shouldn't be surprising, having Nolan broths behind it. 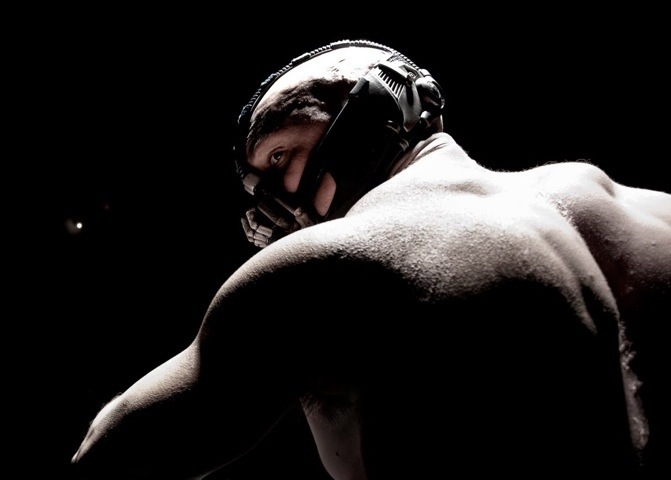 The film site claims that Bane's story has been radically and beautifully re-worked by director Christopher Nolan. Christopher Nolan conformed with Empire magazine that Bane would be the focus of the preview but kept tight-lipped about any other details. The Dark Knight Rises, starring Christian Bale and Anne Hathaway, will be released in cinemas on July 20, 2012.